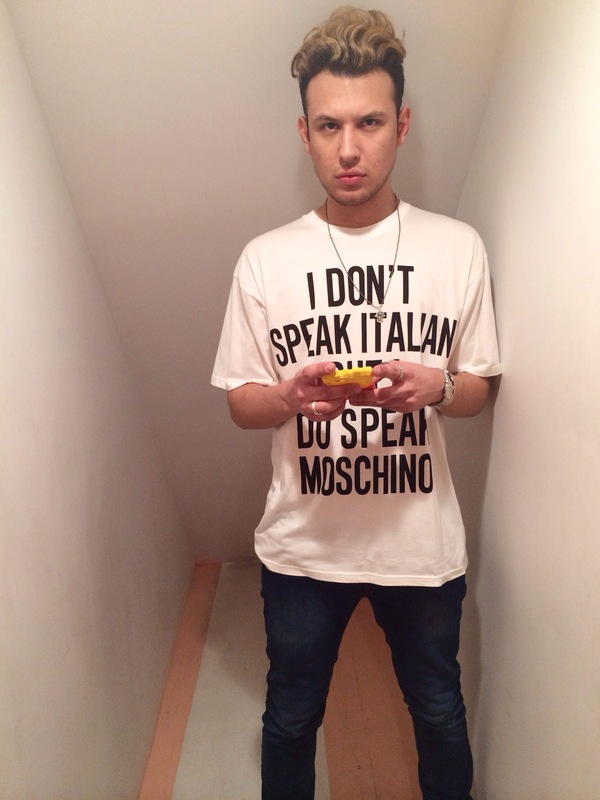 After the epic sensation of Jeremy Scott and his McDonald’s collection the world went nuts. But in my opinion in this modern day era its just about making news. There is no such thing as bad publicity. 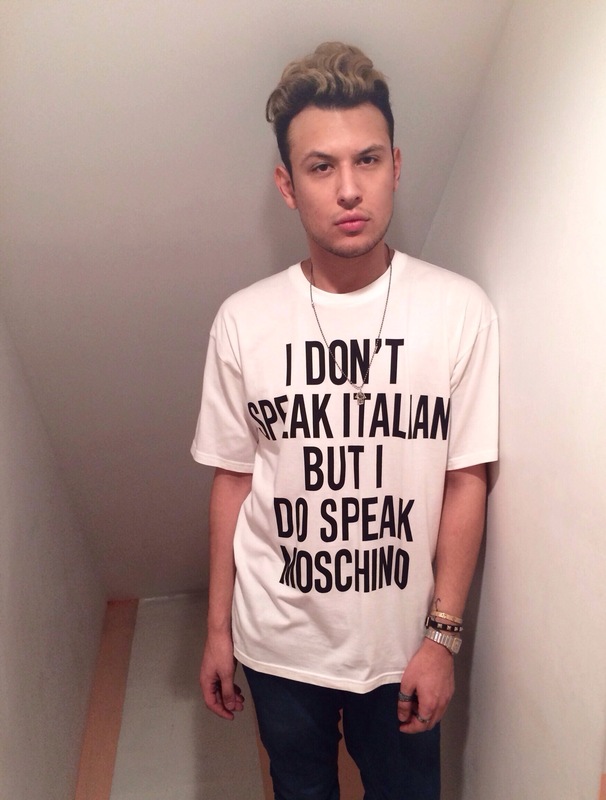 We will always look back and remember Moschino’s FW14 collection. Fast Fashion will be hard to forget and for that props to Scott!! 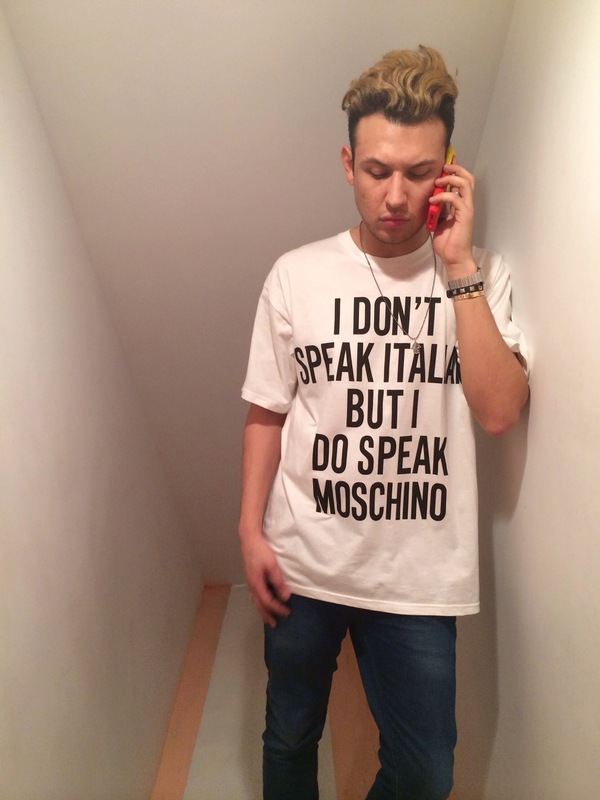 In this post I simply got this amazing white t with the hilarious quote “I don’t speak Italian but I do speak Moschino” with a pair of blue denim from Armani giving a very effortless but “IT” look for a casual day. 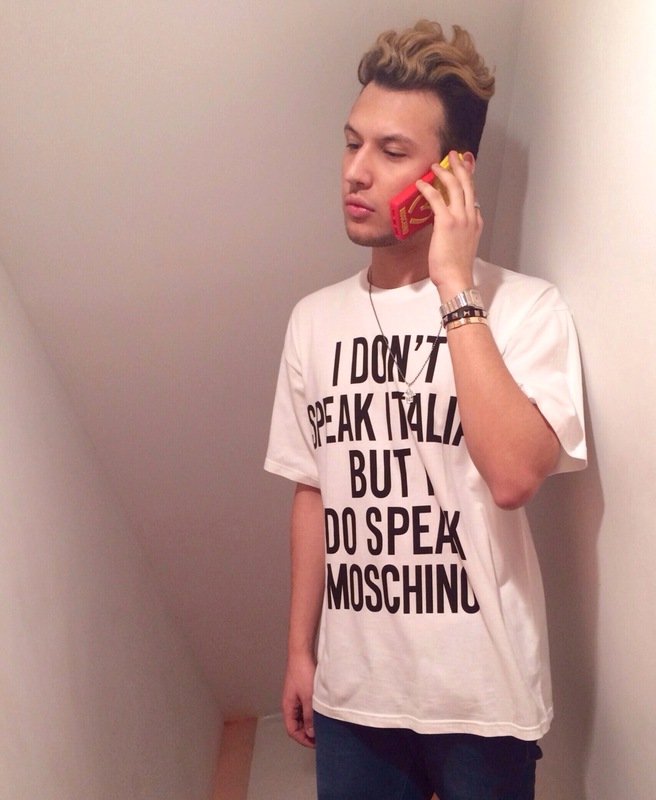 Of course my french fries case which always has me craving some McDonalds but if I want to continue speaking Moschino I must avoid them (jaajajja).